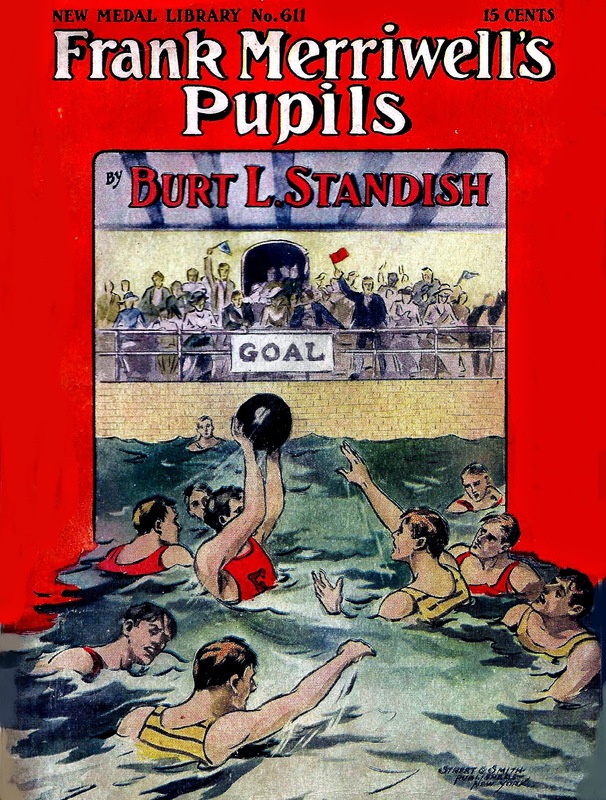 "In the Swimming Tank" Cover of the Magazine Frank Merriwell's Pupils or The School for Athletic Development. Source: http://waterpolointernational.org/items/show/3072, Standish, B. L. (1906) Frank Merriwell's Pupils or The School for Athletic Development. New Medal Library no. 611. Street & Smith, New York.